Spreading awareness and raising funds for a great cause has never been easier or more fun. Rally your team and start fundraising with these crafty moustache mugs! Movember is a moustache growing charity event that is held every November. Male participants begin with cleanly shaved faces on November 1st; they then spend the rest of the month growing their moustaches. Proudly flaunting their “Mo’s”, these men are transformed into walking, talking billboards as they raise funds and awareness of men’s health issues, specifically prostate cancer and male mental health initiatives. This year we’re offering two styles of ceramic “Mo” mugs to help boost your fundraising efforts: CM816M and CM841M. 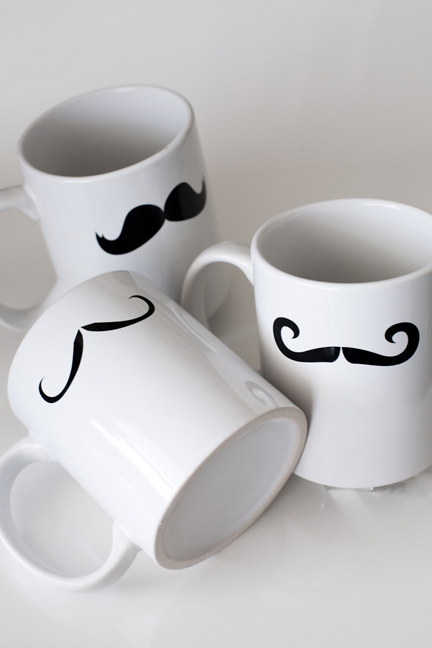 Each mug comes with a one colour mustache printed on one side. Your choice of mustache styles include: The Carnie, Mr. Poirot, and El Bandito. Add your team name and/or company logo to the other side, and watch your fundraising efforts shoot through the roof! When it comes to a cause as important as Prostate cancer and mental health issues, all contributions are deeply valued. But we’re willing to bet that a mug as fun as these will likely help you reap the big bucks! For more details, or to simply brainstorm some fun ways to implement these mugs, please contact your Account Manager or Sales Representative. And don’t forget to send us your Mo Mug pictures! We would love to see how you put them to use. This entry was posted in Awareness Products, Drinkware and tagged Awareness, Drinkware, Fundraising Idea, Movember, Movember Mug, Mustache Mug, Swag by Debco. Bookmark the permalink.